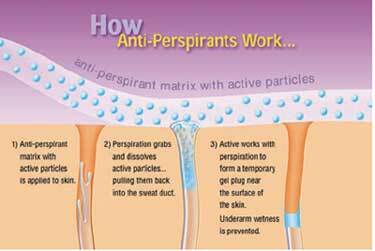 Antiperspirants are the least invasive, inexpensive and easy to use of all the hyperhidrosis treatments. 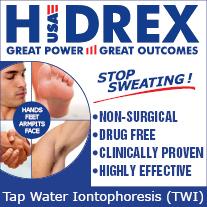 These are generally considered to be the first line of treatment, especially for hyperhidrosis impacting underarms, hands, feet, and sometimes face. Experts normally recommend that they be tried first before moving to more invasive options such as Iontophoresis or Surgery. Note that antiperspirant is not same as deodorant. Sometimes people use deodorant wishing to reduce sweat, but deodorant does just what its name implies – i.e., it ‘deodorizes' and sets boundaries for the odor-causing bacteria and therefore minimizing odors.Deodorant cannot prevent sweat from breaking out. Antiperspirants are generally safe (unless you have any specific reaction to them);. However, aluminium chloride (a common ingredient) may cause mild to moderate skin irritation. Antiperspirants are available either over-the-counter (OTC) or by prescription from your dermatologist. Prescription antiperspirants (e.g. Drysol) often contain aluminum chloride hexahydrate as an active ingredient. These are among the most effective antiperspirants but can cause skin irritation. So, Should You Try Antiperspirants for Hyperhidrosis? If you haven't' yet, yes! Antiperspirants work for a lot of people, and are the least invasive – so they deserve a try. Experts recommend a systematic approach to combating hyperhidrosis with antiperspirants. Start with the most gentle-to-the-skin formulations (traditional over-the-counter products) and progress to clinical strength over-the-counter antiperspirants, and then try stronger and stronger products (such as prescription formulations) until relief is found. Miracles cures are so annoying. I don’t believe that a natural ingredient or solution for completely fixing excessive sweat is the answer for most people. And other intrusive method like injections and the surgery are to drastic and I have heard horror stories about people that were sweating in other parts of their body from both types of serious solutions. The best hyperhidrosis treatment for excessive sweating has always been an antiperspirant, but you must remember that while everyone body is different, so are the types of aluminium based products. Think of an antiperspirant as a T shirt. T shirts come in all types of sizes. From extra small to 2X large. Same goes for these products. There are different levels of aluminum in all products. For example, Certain Dri has a 12%, a 20%, and a 25% aluminum concentrated product. Which means that you need to look for the one that fits your body. I suggestion is to start off small and move higher if you are not getting the right amount of protection for your body. 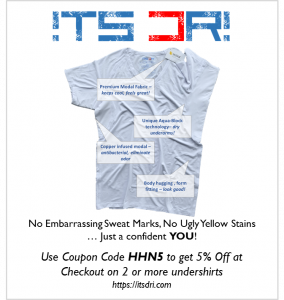 Check out https://www.certaindri.com/content/15-products and see for yourself.